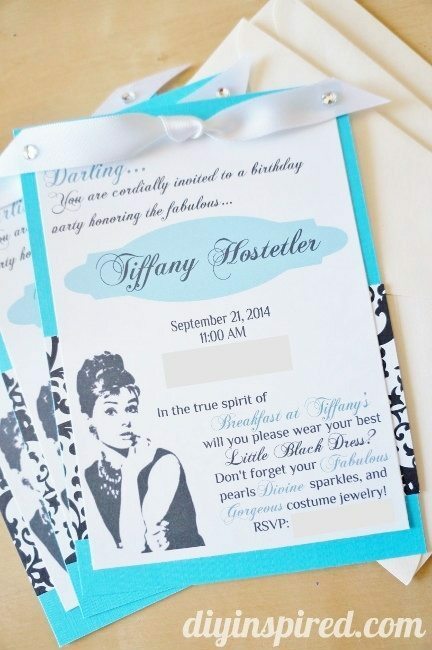 I have been on a roll with invitations lately! I have to say, I really enjoy paper crafts like this. Recently, I made a clam shell for a Little Mermaid Party and a Rapunzel Tower invite with yarn hair for a Tangled themed party. This time, I am helping my best friend with her oldest daughters Breakfast at Tiffany’s birthday party (her name is Tiffany too!). 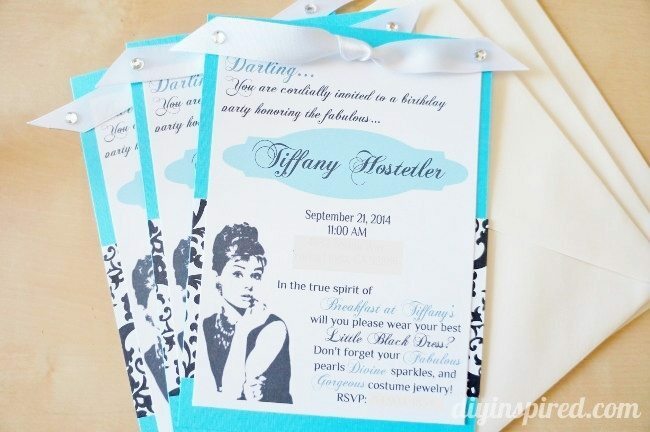 Here is how I made Breakfast at Tiffany’s DIY Invitations. To prepare my little assembly line, I cut 5” X 7” pieces for the main backing and 3” X 5” pieces of black and white paper and 6” white ribbon. 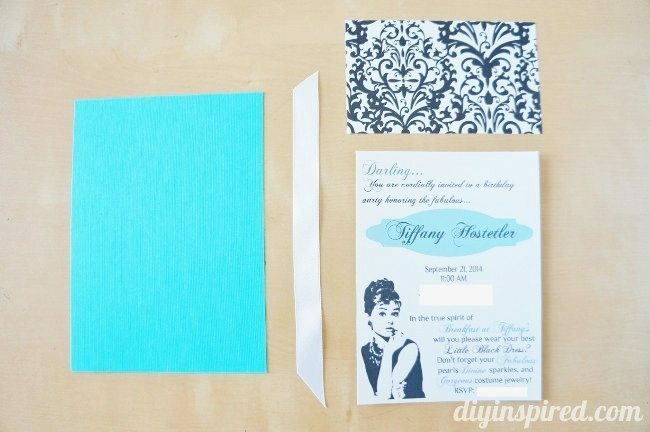 I designed the invitation, printed them on white card stock and cut them out at 4.25” X 6.25” (approximate). I used a glue stick to assemble them. 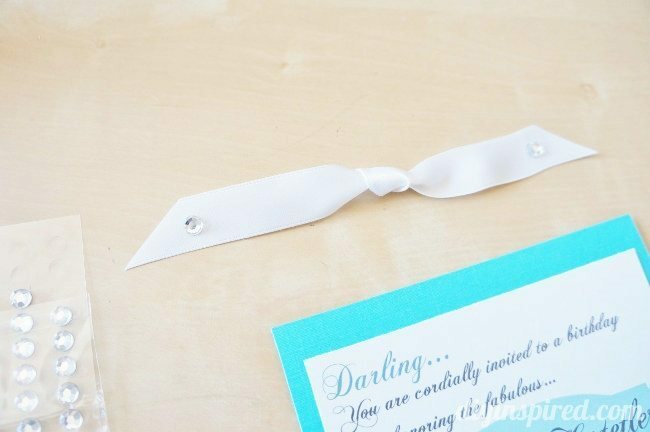 I also tied the ribbons in knots and put a little gem on each side. 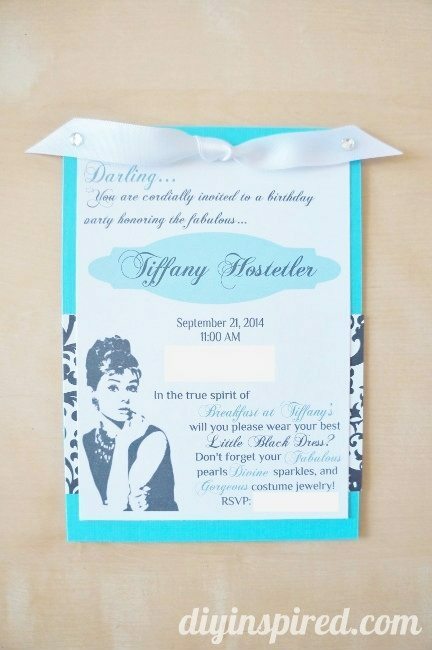 My friend looked online for Breakfast at Tiffany’s DIY Invitations for inspiration and she loved the wording on this one. 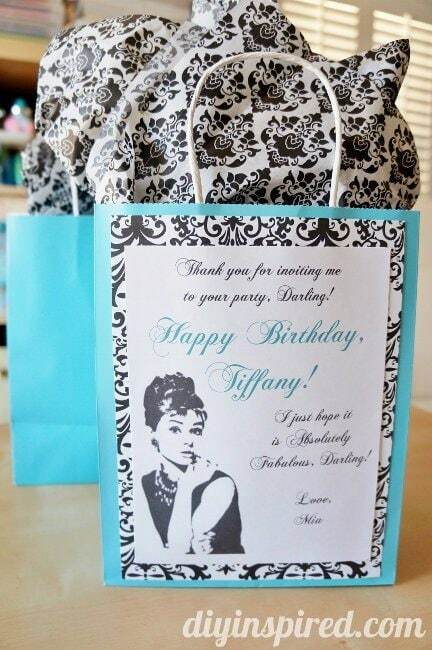 … some special gift wrapping for the birthday girl too! 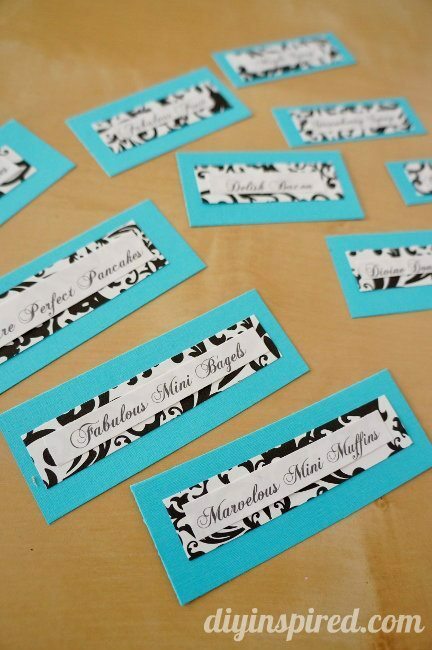 What font did you use on your card? Hi Rimsha, I believe it is Chopin Script. Did you make it using Microsoft word. 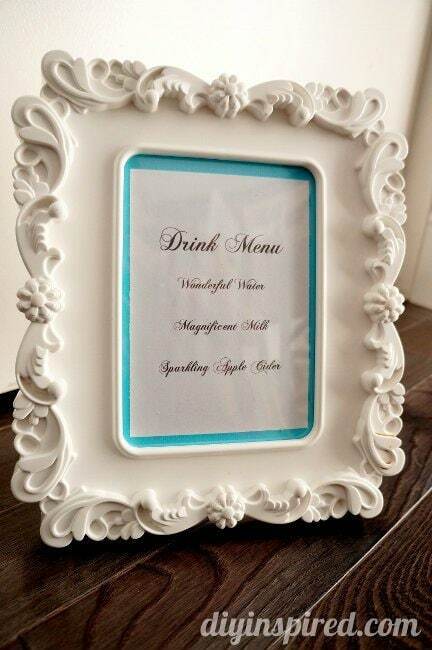 And how did you print on the white cardstock. Hi Rimsha! Unfortunately I don’t have a template. I designed it on a free design site called iPiccy.com. It’s easy and user friendly. 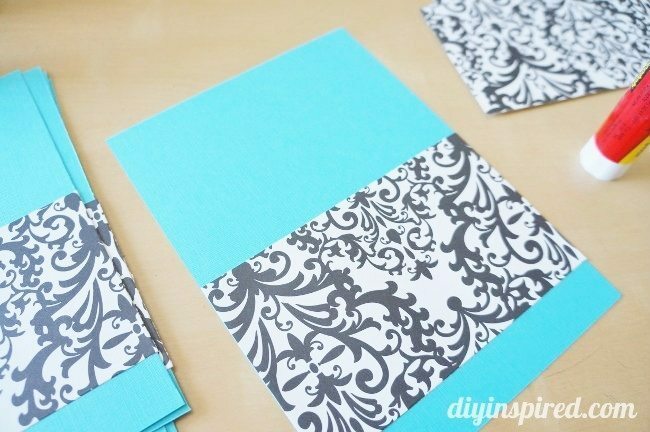 You can feed the cardstock directly into your printer and it works great! I hope this helps!! I’m sorry, but I don’t remember! Yikes!